Employees of an Israeli drone manufacturer are facing charges for allegedly demonstrating weaponry on Armenian soldiers at the request of Azeri clients, the justice ministry and media said Wednesday. "Aeronautics and 10 of its employees were informed that they were set to be charged, pending a hearing," the justice ministry said of the company based in the central Israeli town Yavneh. Aeronautics chief executive Amos Mathan and other senior employees were suspected of "fraudulently obtaining something under aggravated circumstances" as well as violations of Israel's security export control law, the ministry said. "The employees were investigated about a deal the company made with a substantive overseas client," the statement read without providing further details, noting a gag order over the affair. 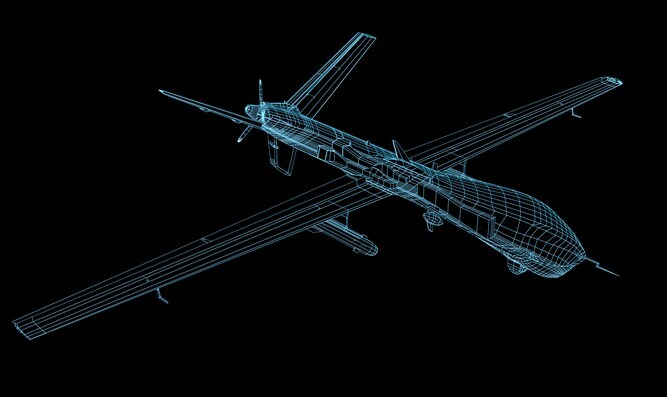 According to Israeli media, in 2017 representatives of Aeronautics were working on a deal in Azerbaijan, where they were asked by their hosts to demonstrate their Orbiter 1K drone on Armenian soldiers. The Orbiter 1K is a drone capable of hitting targets with a small explosive payload. Azerbaijan and Armenia are locked in a bitter dispute over Nagorny Karabakh, with frequent exchanges of fire along the volatile front line nearly spiraling back into all-out war in 2016. According to the reports, two Aeronautics employees refused the request before a more senior official in the firm acquiesced, lightly wounding two Armenian soldiers. Aeronautics did not immediately reply to queries on the affair, but are reported to have denied targeting Armenian soldiers. Karabakh has been under Armenian control since it was seized in the early 1990s after the break-up of the Soviet Union. The international community still views Karabakh as part of Azerbaijan and no country has recognised it as independent. Energy-rich Azerbaijan, whose military spending exceeds Armenia's entire state budget, has repeatedly threatened to take back the region by force. Moscow-allied Armenia has vowed to crush any military offensive. Azerbaijan, a Muslim state open about its ties to Israel, is a major customer of the Jewish state's weapons and military technology.